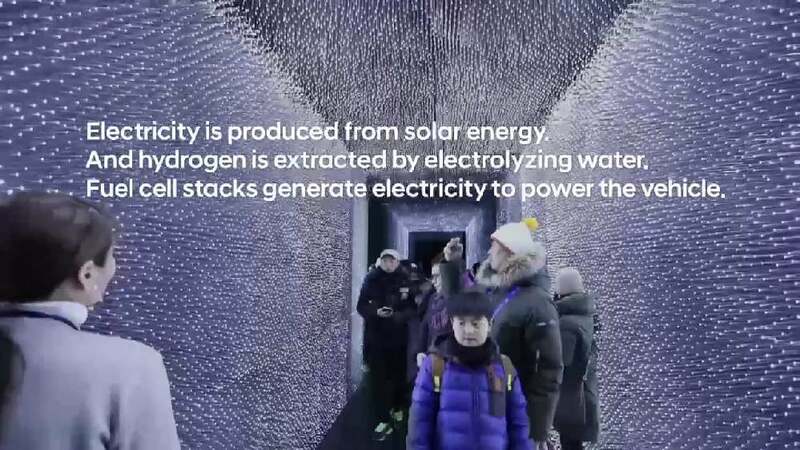 The objective of this installation at the Hyundai Pavilion 2018 was to provide an easy-to-understand explanation of the complex technology used in the company’s fuel cell electric vehicles. This approach was implemented through a dark room, aimed at projecting a physical and tactile experience of the brand vision of future mobility through the topics of the universe, water and hydrogen. Inviting people to participate and interact, the space provided an inten-sive experience intended to help people feel connected to the notion of future mobility. Asif Khan Asif Khan Ltd.